Lourdes C. Hernández-Venegas | Littler Mendelson P.C. 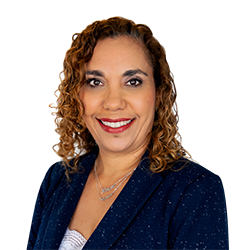 Lourdes C. Hernández-Venegas practices in all areas of employment law and is an accomplished litigator. She chairs the Schuster Agulió’s Employee Retirement Income Security Act (ERISA) and Employee Benefits Litigation Practice groups and has achieved extraordinary success litigating employee benefits matters. Prior to entering private practice, Lourdes served as judicial clerk to the Hon. Carmen Rita Vélez Borrás, where she gained extensive experience in issues dealing with injunctive relief and other equitable remedies. She has taught research and writing to first year law students at the University of Puerto Rico. At Harvard, Lourdes was active in public service programs, including serving as the director of the Inner-City Outreach Summer Program. In 1994, she received the Stride Rite Prize for Outstanding Public Service for her body of public service work. Lourdes actively participates in non-profit organizations dedicated to promoting Puerto Rican culture and folkloric arts. She performs with the Gracimá dance group and teaches dance at the Caridad Brenes de Cepeda School of Bomba and Plena Dance.